We will create three shipping methods that provide a fixed shipping price, allow for free shipping promotions, define logic based on an item’s weight and, finally, make it all configurable in the admin panel. 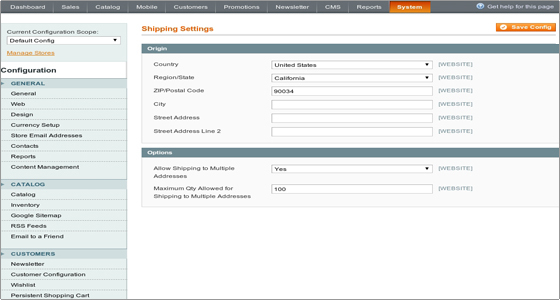 To configure your Magento Shipping methods, you need to login to your admin area and go to System -> Configuration -> Sales ->Shipping Methods. 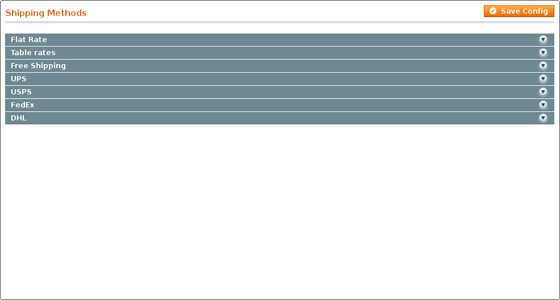 Before enabling the shipping method you should configure the shipping settings from System -> Configuration -> Sales -> Shipping Settings. Expand the Origin section. Enter the address from which the shipping will be initiated. Usually this is the address of the warehouse where the products are stored. Then expand the Options section. If enabled, the option Allow Shipping to Multiple Addresses allows goods from a single order to be shipped to different addresses. It is useful when a customer orders many products of a single kind, like post cards or pens for example and wants them to be delivered to multiple addresses. 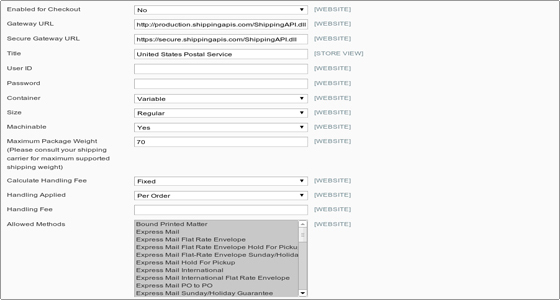 You can define the maximum number of allowed shipping addresses in the Maximum Qty Allowed for Shipping to Multiple Addresses field. Enable the shipping method, enter the Gateway URL and the UserID. The next options allow you to describe the packages which you need to be delivered (size, weight and more).